Alec Shankman is CEO of Santa Monica-based Gotcast (www.gotcast.com), an online site focused on casting of actors for television shows, movies, and other productions. The firm is venture and angel backed, and was co-founded by Wil Schroter, who is involved with a number of other startups here, including Affordit. We sat down with Alec the other day to hear more about the company and what it's try to do. At a high level, what does Gotcast do? 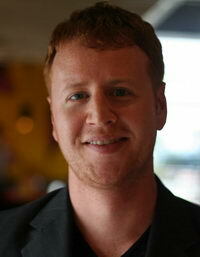 Alec Shankman: Gotcast is the largest online interactive casting platform. We basically open up the casting business ranging from regionalized projects to studio films, to the rest of the country, allowing them to submit themselves and get their own fan base involved in securing roles. What's your background and how did you start Gotcast? Alec Shankman: I moved here from Ohio in 2003. I immediately started at a company called Abrams Artist Agency, where I started the Alternative Programing Department, which I subsequently ran for nearly seven years. I represented TV hosts, broadcast journalists, radio DJs, TV producers, and as time went on and reality TV got a little more bizarre, I was repping experts out there, like the Pickup Artists on VH1, the Deadliest Catch fishermen, the Bravo's Million Dollar Listing-type experts out there, and it just helped me realized there were a need for interesting experts, like carpenters, etc. But, there was no good way for Hollywood to find them. I got to talking with Wil Schroter, who was an old business associate of mine and old friend, and we thought it could be very interesting to create a place where Hollywood could reach out to find people. It actually has been working very well. People who are agents, like I used to be, and producers, casting directors, etc.--they're now finding talent all over the country. We have amazing testimonials for people getting hired--like E! News, ABC competition game shows, feature films, etc.--people around the country who otherwise would never have a shot. Talk about some of the deals you have with brands and promotions? Alec Shankman: What eventually happened, is our events became so viral, that people ended up creating profiles to get their family and friends to vote for them, ala Youtube to get these jobs. Instead of people just getting online, it became online contests for certain events. As we started making that more intentional, we started powering shows like Project Runway, where what was available was simply on-camera roles as a model. But, we were able to turn it into a huge event that we partnered with Lifetime and MySpace on, and we got 50,000 girls to try out in less than a week, with hundreds of thousands of people online as voters and fans, and we had millions of impressions surrounding the event. In turn, L'Oreal sponsored the event, and it just became a really interesting piece of ad inventory. We've subsequently done things for VH1, where we've powered an event for one of their shows called Divas and another called Storytellers, where brands like Garnier Fructise have sponsored the event. We did an event for YoungHollywood.com, sponsored by True Religion jeans. We're now doing events, beyond the Hollywood space, for companies like Hautelook.com, where we do a model search--which ultimately helps them brand their company and grow their mailing list, but it is kind of wrapped in a contest to find new faces for their spring campaign. It just becomes an interesting viral piece of inventory people are interested in participating in. Let's talk a little bit about the intersection of technology and Hollywood. It seems there are few companies that have figured it out.. Can you talk about what you've seen? Alec Shankman: It's an interesting space, because a lot of folks came out and tried to blend technology and Hollywood by creating content portals. There was some beautiful web sites that were built, but I know from my time as a talent agent, these guys were spending a lot of time and money on content, but not spending a lot of time on how to monetize it. Unfortunately, a lot of those companies are subsequently disappearing. Our company is interesting because we've found a way to create a service benefits people in the Hollywood business, using technology, and in turn we're able to loop in all sorts of interesting people from the technology sector, to help with things like lead gen, SEO, and what not, which Hollywood people would have no idea about--creating a service extremely helpful to Hollywood. In turn, using technology like online auditions, which solves a problem that Hollywood has had, and make some of their big costs go away. The firm has some funding? Alec Shankman: We raised an initial seed round from a company called NCT, which is a Columbus, Ohio based venture fund. We also have one individual angel involved, Paige Craig, who we came in touch via Mike Jones, who is really excited about media properties out there and people from interesting backgrounds trying to basically do what we're doing. He has really helped introduce us to the tech people in Los Angeles, because at the end of the day, I'm from Ohio, and my partner Will is from Ohio, and our venture firm is from Ohio, and for us to get involved on the tech side here it's been really helpful to have people like Paige involved. Where are you going next, and what are your goals in the next few months? Alec Shankman: Our goal is to create the largest database of talent imaginable. We're doing that by powering some really exciting initiatives for both brands and TV networks. Some are on our site, some exist on the brand's web site. But, in every scenario we have these very high profile, interactive events which attract talent of all shapes and sizes, and ultimately directs them back to our service. So our goal is to grow that, and make that as exciting and as helpful of a platform as possible for anybody and everybody who wants to get involved in Hollywood.